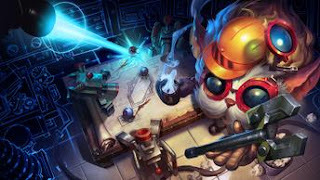 Surrender at 20: Red Post Collection: Ask Riot - Discussion on large events, LCU, & ranked 3s, Nexus Siege in RGMQ, and more! Red Post Collection: Ask Riot - Discussion on large events, LCU, & ranked 3s, Nexus Siege in RGMQ, and more! This morning's red post collection includes a new edition of ASK RIOT discussing large events, LCU, and ranked 3s, a reminder that NEXUS SIEGE is back in the RGMQ this weekend & an updated RGMQ schedule, a VOD for the weekly Ghostcrawler & Scarizard QA stream, and more! 7/19 PBE Update: New Spellthief Lux and Prestigious LeBlanc splash art, New Hextech Crafting Components, & more! Red Post Collection: Pre-Worlds Early Game Updates, Dynamic Queue Matchmaking Update, Kled bench, and more! First up we have a new edition of ASK RIOT, including discussion on large events, how the League client update alpha is coming along, and ranked 3v3. This is a space where we focus on your questions and give you answers. The one where we talk about events, Ranked 3s, and an update on the client update. We’re committed to reading every question but can’t guarantee we’ll answer them all. 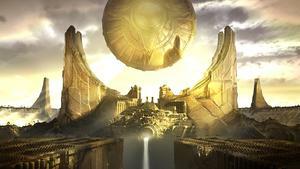 Some questions may already be answered elsewhere or won’t be right for Ask Riot. For example, we won’t typically be launching new products or features here or talking about issues we’ve already gone into more depth elsewhere (but we can clarify individual points!). Even if your question isn’t the one being answered, we’re listening, and we’ll be sharing your questions with the Rioters who are working directly on the things you’re curious about. There will be no article next week, but we will return on August 4th. Are we going to get more thematic events like the Freljord- and Bilgewater-themed events we've had so far? How long do they take? TL;DR: We won’t be doing a single event that contains all of the components Bilgewater had last year. Instead we want to continue delivering on all the same types of content found within the Bilgewater event, but in a way that ensures better quality and cadence. Still reading? Cool. Let’s dig in a bit. Though Bilgewater had a lot of positives, it was an utter beast to produce that was further complicated by our focus on a singular release window. Putting my Narrative hat on (it has a quill in it! ), Burning Tides was 11,000-word story that had to tie into various product teams who all had awesome stuff they wanted to deliver to players, but with wildly varying production schedules. Bringing all those moving parts together was extremely challenging, as it shackled teams and reduced their ability to produce content at their own speed. After we completed our production analysis of the Burning Tides event (including the amount of energy drinks consumed per capita), it became obvious there was little chance of us doing something similar more than once per year. In turn, it meant each individual part of the event was also being restricted to the same cycle. We wanted to continue delivering cool content such as game modes, high quality stories that progressed over time, themed skins and so on, but in a way that meant we didn’t have just one high burst of overlapping (and sometimes competing) content in a narrow window before we went quiet again. The bottlenecks compounded on each other and reduced each team’s effectiveness. Additionally, one of the most consistent pieces of feedback players had given to Narrative was to stop disappearing for a year at a time (or more) after each event, as we had since Freljord. By decoupling each aspect of an event, we can deliver story progression, rotating game modes, skins and more on their own terms and with increasing regularity. You’ve already seen the benefits of us unlocking ourselves from unwieldy events in Shadow and Fortune (along with the updated Shadow Isles bios and foundational content), Targon, and the progression of Shurima’s story, along with the themed bundle of bios, contextual material, and the Bloodlines story. By not having to work under the parameters of a studio-wide endeavor like Burning Tides, we’re able to create stories and other content that support League of Legends and expand the world of Runeterra in a much more focused, nimble way. It also allows us to deliver fun content like rotating game modes and, for skins, to produce awesomeness like PROJECT rather than having to throw everything into one humongous, single-focus event. Though I completely understand disappointment in not having a ‘Bilgewater event’ this summer, I hope you will enjoy the content we can produce, because it’s good. Story-wise, we are working on something rather saucy for a little later this year we think lovers of story will enjoy. In fact, the amount of pure storytelling we’re planning for 2016 will be more than we’ve ever done previously. My apologies for any confusion caused by the expectations we set in the past. However, I hope I’ve helped clarify our thinking on how we can get the best content to you at an improved pace. We’re rather excited about what we have in the works, and I promise we won’t kill anyone in the next big story. Well, except [REDACTED!] of course, but they’ve just been asking for it. How is work on the client update coming along? Swimmingly, but we still have a ways to go! The feedback given to us by our first batch of alpha testers has been tremendously helpful for all of us working on the client, and we're steaming ahead with our release schedule. We're adding Twisted Treeline and our reworked Champion Detail pages now, with the normal draft and ranked queues up next. Our dedication to building this thing from scratch means that we've had to slow down development of features unrelated to the client update, but it's worth the investment—by the time we're done, League's client will be better looking, more stable, and much better structured to allow Riot teams to efficiently develop new features. Plenty of folks have signed up for the alpha, but we'll need lots more testers as we thunder toward the finish line. Sign up to become a tester yourself, or check out client update website to track our progress. What does the future hold for Ranked 3s? In patch 6.13 we added timed windows to ranked 3’s that match up with the ranked 5’s play times. We did this because it's a pretty low population queue and there were a lot of poor queue times and matches being made outside of those windows. We're going to see how these changes work and so far, our data shows it has substantially improved queue time and match quality. Ranked 3's came from a time when we saw the future of League as being a variety of different maps that were always available. It turns out this vision just isn’t the most compelling. 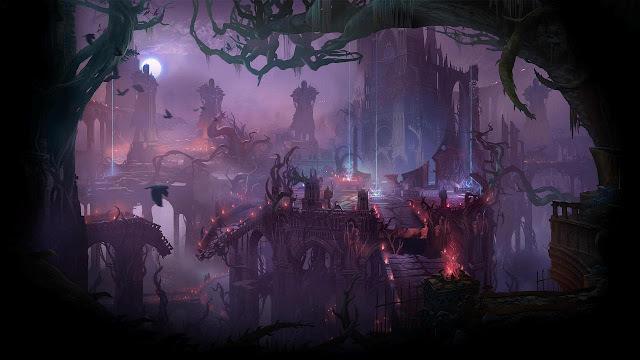 It's fair to view the work that we currently do on Twisted Treeline as maintenance. If we made Twisted Treeline today, it would be for our Rotating Game Mode Queue (RGMQ) – that's where we mix things up and give you fresh modes for a shorter amount of time. If the population for Ranked 3's stays healthy, we’ll maintain the same windows as Ranked 5s. If the queue times become too long and the matchups are difficult to balance for the number of players in the queue, we’ll have to make a decision on whether it’s best if we move into in the the RGMQ where it will get shorter, healthier periods of play. Please feel free to hit us up in the comments. Each of the Rioters who answered will do their best to engage in a conversation with you." Following the post, Jaredan stuck around the comment section to answer a few of the narrative related questions. Riot should have a page where you can find all the stories... right now if you don't know about it you would never be able to find it because you have to search for it using like google or something. And that's only if you know that theirs a story to be read in the first place! Yeah, we know it's certainly not ideal. We're looking to make some improvements to the current experience. Sorry I can't be more specific at the moment." Just a quick lore-concerning question, does Riot ever have plans to approve, add on to, or write new void lore? The void's lore is "Scary place that wants to eat runterra" so far, and that's pretty bland, especially with all its awesome and unique champions. We have plans, yes. That's all I can say for now, sorry, but the Void is an important part of Runeterra's story." Correct me if I am wrong but are summoners even apart of the lore anymore after the Shurima event? Me and some friends talk about it when playing and how if that is true, then some quotes wont make sense like Sona saying "only you can her me summoner" and others. But enough on that. I would love to see an easier way to look at the lore. Summoners are part of the story of Runeterra. We haven't released any of the stories that will show what that means just yet, but Summoners are not gone from the story." I wouldn't discount anything moving forward. If there's something we can do that makes sense and will be cool for players, we'll do it. It's just that we won't be tying a whole bunch of teams to one window each year and we'll be more specific about when collaborations are of most value." 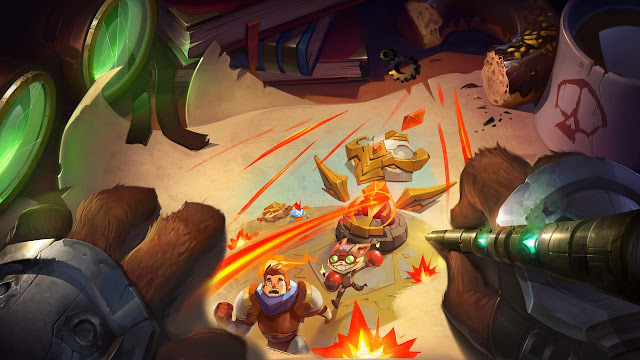 "There is a plan, yes, and those short, in-client intros are only meant to be a stopgap while we edit, update and rewrite the bios for all Champs to go along with those such as Miss Fortune, Gangplank, and all the Champs since then. I completely understand the frustration, particularly when your favorite Champs haven't received some story love in a while. However, we do plan to bring much more storytelling to you, not just with each new Champion or Champion update, but with stories to support the understanding of the world and stories just because we think they're cool and you would like to read/watch/hear them. It's taken a while, but we've been working hard on improving our quality and setting up various production pipelines to support long-term delivery of cool stories. We hope you enjoy what's coming." The new NEXUS SIEGE game mode returns this weekend in the rotating game mode queue! Expect things to kick off around noon server time on July 22nd and last through July 25th! "The siege continues with Nexus Siege returning for one more weekend! If you need a refresher on the new Siege Weapons or some strategy and champion suggestions go check out the Nexus Siege website here!" 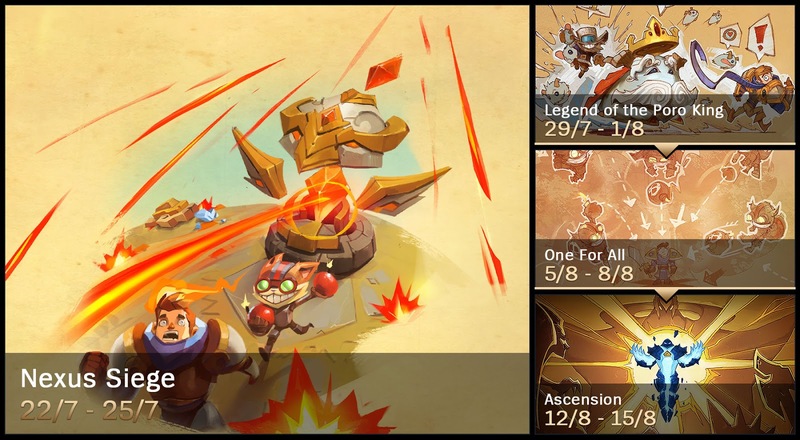 The rotating game mode queue schedule has also been updated! Following this week's round of NEXUS SIEGE, Legend of the Poro King will return from July 29th through August 1st, followed by One for All from August 5th through 8th and Ascension from August 12th through 15th. "Win rate's low, performance when played well's not bad though and he's got a fair bit of learning curve, especially with the ult. We're going to let him sit as is for a patch, then consider changes for 6.16. If we were to buff him current thinking is that just some base stats might be the most likely thing. He's got plenty of damage already and at least right now we don't want to put more power into his ult either." Ghostcrawler and Scarizard returned to the LoL twitch channel to stream a monthly QA, spending almost two hours answering player questions on design & game systems, discussing upcoming changes and direction, and much more! Be sure to tune in to the League of Legends twitch channel for more streams throughout the week! Last up for today's red post collection we have a few reminders on current promotions and events! July bundles and Mystery skins are up in the shop through July 26th! Ryze's champion update launched with 6.14! Ryze's legacy skins - Zombie, Tribal, Professor, and Pirate Ryze - are available individually through August 13th! In addition to the new Astronaut Teemo plush, all plush are currently 30% off through July 24th! 2016 Worlds Group Stage (San Francisco) tickets are now on sale! Be on the look out for Quarterfinals (Chicago) tickets to go on sale in late July and Semifinals (New York) and Finals (Los Angeles) tickets in early August!